By Jaime 3 Comments This post may be sponsored or contain affiliate links, but all opinions are our own. We are a participant in the Amazon Services LLC Associates Program, an affiliate advertising program designed to provide a means for us to earn fees by linking to Amazon.com and affiliates sites. Planning a fun Disney World vacation requires finding the answers to lots of questions. 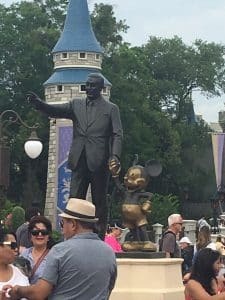 That being said, one of the most frequently asked questions is “What is the best time to visit Disney World?” You could try to decipher a Disney crowd calendar that shows the crowd level expectations for each month to visit, but if you look at several at them, you will notice they aren’t all the same. 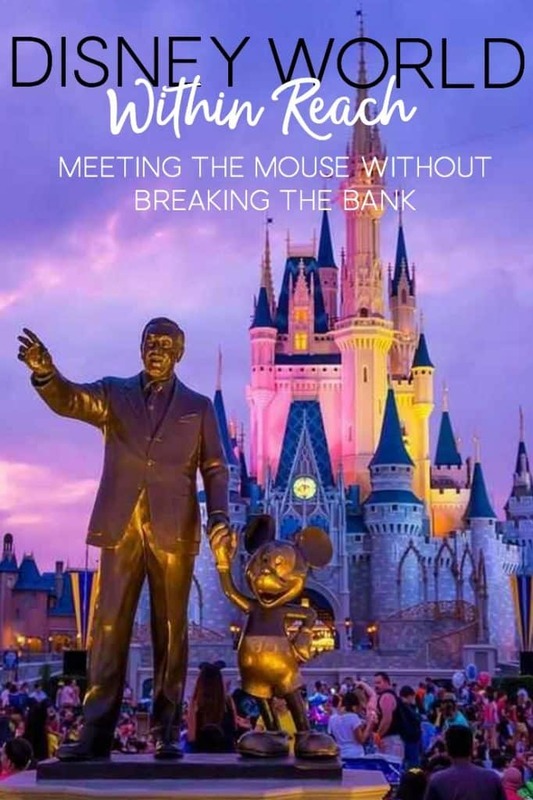 Keep reading, to learn more about some of the most highly recommended dates to say hi to Mickey and all the gang. By the last two weeks of January, the Christmas decorations have been packed away and the holiday crowds have dissipated. Crowds are smaller and you’ll find the temperature cooler. In fact, it’s wise to pack clothes capable of keeping you warm on chilly evenings. On the downside, refurbishments and a higher level of park maintenance take place during this period. There is a chance that some rides and attractions may be closed temporarily. You’re looking at fewer hours to enjoy the park and scaled-back entertainment. But, there are still tons of fun to be had by everyone. Expect reduced Disney World attendance all the way up to Valentine’s Day, when thousands of couples visit the park. The temperature is still on the cool side. So, swimming isn’t as popular as most of the rest of the year. But, love and the yummy smell of all things chocolate is definitely in the air! 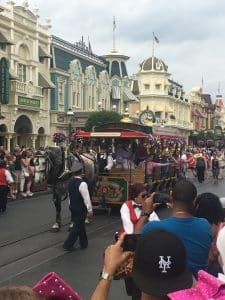 Many seasoned Disney World visitors will be the first to tell you that the month of May is the second best time to visit Disney World. Even though temperatures are warmer, May is not considered to be Disney World peak season. This means ticket prices and accommodations are typically discounted during the week. As Memorial Day approaches, crowds do get heavier. However, it doesn’t start to get really crowded until after the holiday weekend. 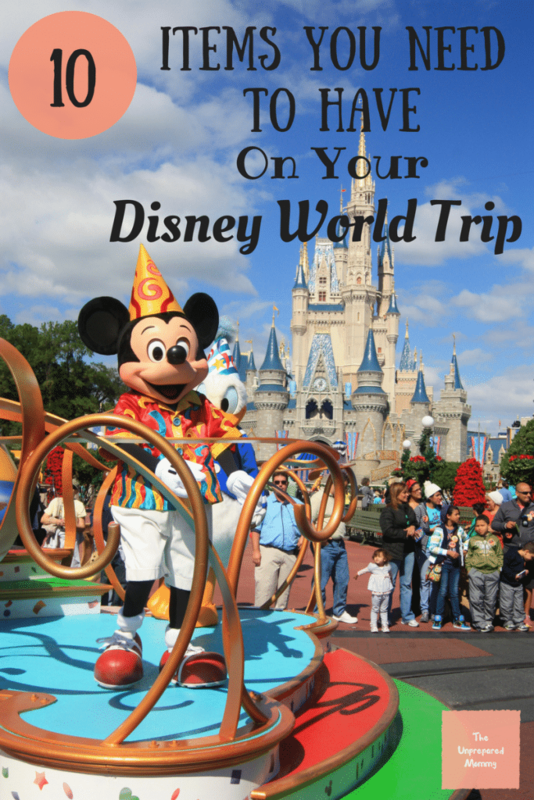 WANT WAYS TO MAKE YOUR DISNEY VACATION WITH A TODDLER MORE MAGICAL ON A BUDGET? GET MY LIST OF WAYS TO SAVE! Visiting Disney World during the first two weeks of August is definitely NOT recommended. Lots of families are getting in some last-minute vacation enjoyment, before school starts. The last two weeks of the month is another story. The weather is still hot, if you prefer it that way. You don’t have to worry about any type of major refurbishment activity going on and the lines are shorter than in the weeks before. 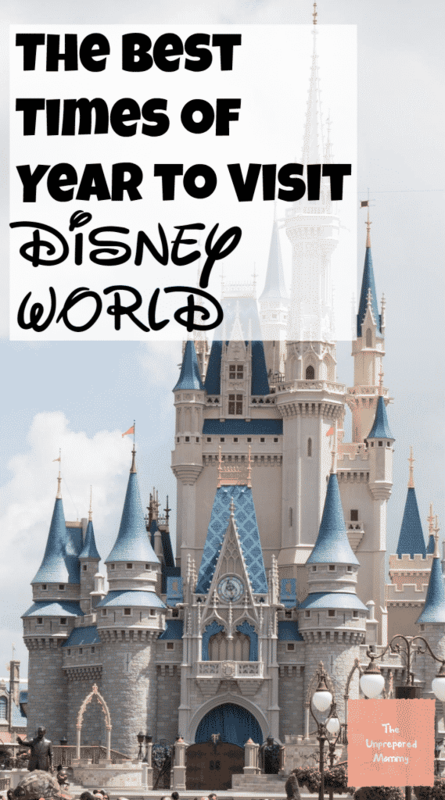 For lots of Disney World lovers, any time during the month of September is the totally best time to visit Disney World. Since school is back in session, crowds are smaller and consist of a higher percentage of adults. Most of the weekdays are considered Value Season, so the ticket prices are lower than Regular and Peak. There are plenty of special events to consider, such as the Food and Wine Festival at Epcot and the start of Mickey’s Not-So-Scary Halloween Party for those who can’t get enough of ghosts and goblins. The downside of visiting Disney World in September is the fact that it’s the “rainy season” in Kissimmee. It typically doesn’t rain all day. But, raincoats or ponchos are absolute necessities, unless you don’t mind getting wet. If you love being part of Christmas-time festivities, the best time to visit Disney World is early December, meaning the first two weeks. The park is decorated in all its splendor. The Christmas crowd hasn’t officially arrived yet and there’s several amazing Christmas-related events to participate in. 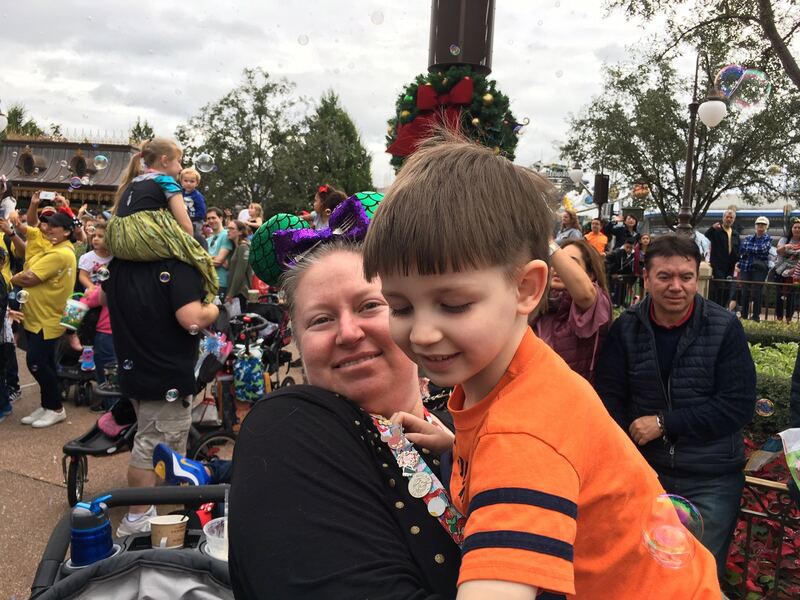 This includes Mickey’s Very Merry Christmas Party, Candlelight Processional and Epcot’s Christmas around the World. Honestly, there really is no “bad time” to visit Disney World. If you can’t schedule your trip during one of the times mentioned above, no worries! Yes, it WILL be more crowded, the lines will be longer… but, you’ll still have the magical, not to mention unforgettable, time of your life. Mickey and Minnie await you! 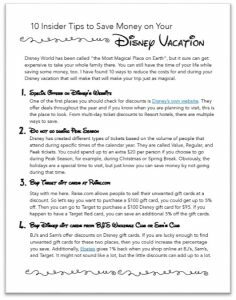 WANT TO SAVE MONEY AT DISNEY WORLD WITH YOUR TODDLER? GET MY LIST OF WAYS TO SAVE! If you want to save even more money on your trip, check out this book! I’ll second February. I had never been before, but the crowds were totally manageable! We visited WDW in October and it was so much fun to enjoy the Halloween preps. Plus, we could dress without layers and the weather was perfect.